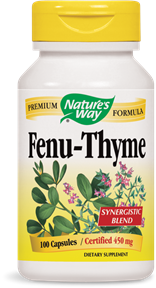 Fenu-Thyme is a popular herbal blend for supporting a healthy and balanced lifestyle. Take 2 capsules two to three times daily, preferably with food. For intensive use, take up to four times daily.